Adams Media Corporation, 9781440570612, 208pp. 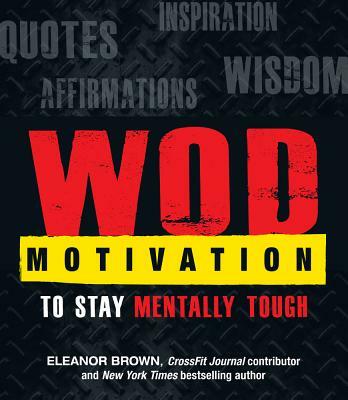 You know WODs are tough--on your body and on your mind. You know that when your legs are shaking and you can barely breathe, it takes more than physical strength to make it all the way to--and through--the final rep.
Eleanor Brown is the New York Times and international bestselling author of the novel The Weird Sisters and a contributor to CrossFit Journal. She has been training for two years and swears by the power of the WOD to change bodies and minds.